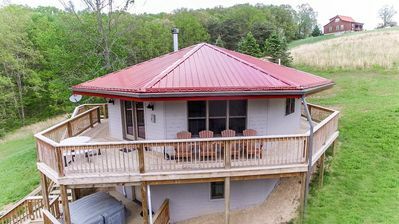 New 22 Person Luxury Lodge-Hot Tub, Wifi, Fireplaces, covered decks, 12 acres! Brand new Fall of 2017! 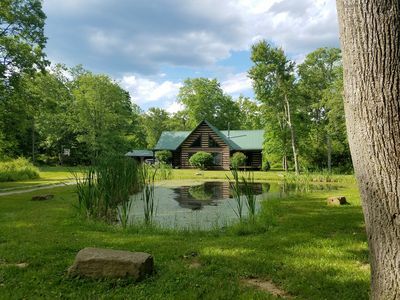 River Rock Lodge was designed to be the perfect gathering place for your group right in the heart of the Hocking Hills. 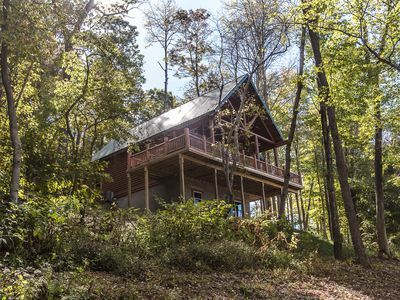 One of our favorite features is the 3000+ Sq Ft of expansive wrap around covered porches. 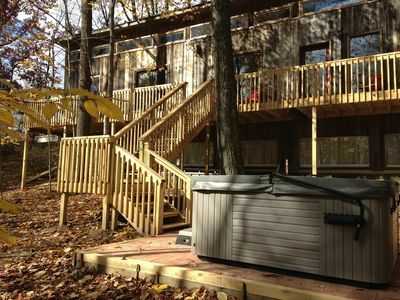 Spend your time rocking away, soaking in the hot tub, or relaxing by the outdoor covered fireplace. The fully stocked kitchen features stainless steel appliances and granite counter-tops. Everything needed to prepare a meal is supplied. Enjoy a dinner "at home" at the custom made dining table or breakfast bar. 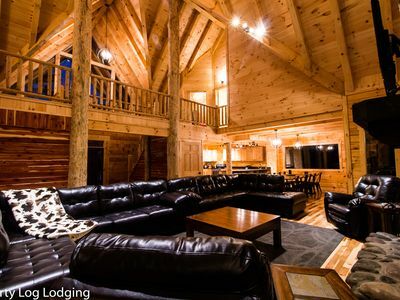 The main floor living room features sofas and love seats arranged around the 2 story stone fireplace and wall of windows. 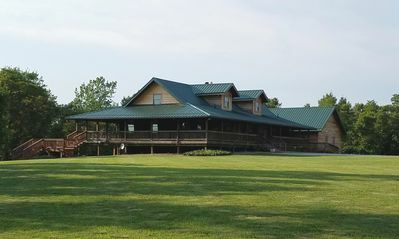 Also, on the main floor is the master bedroom and master bath and a half bath for your convenience. Have fun picking which of the 8 bedroom will be yours. 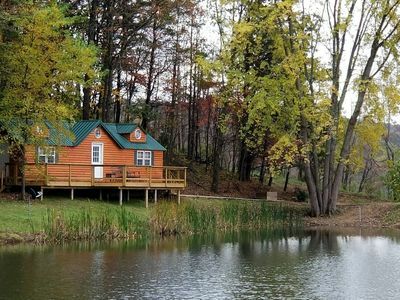 7 Log frame Queen bedrooms and 1 custom "bunk room" with 2 queen beds and 2 twin beds will provide cozy sleeping arrangements for your group. 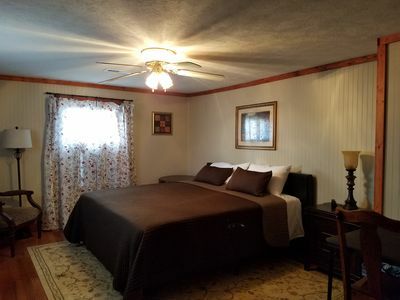 With 5 full bathrooms you won't have to worry about waiting. The basement has a game room with flat screen TV, couches, pool table and foosball. 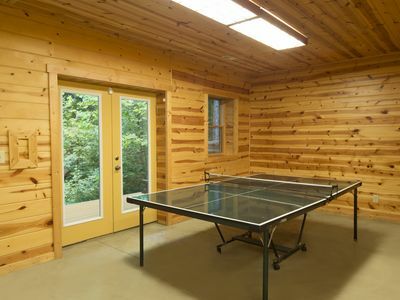 From the basement you can walk out on to the bottom covered deck to take in all the natural beauty while you soak in the hot tub or enjoy a game of corn hole. 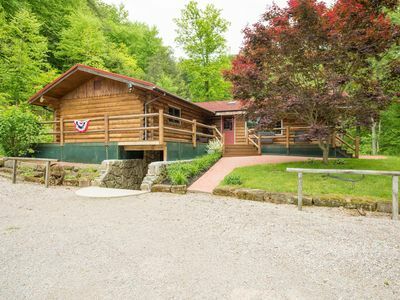 The lodge is located right between Logan and Hocking Hills State Park, just minutes to Old Man's Cave, Cedar Falls and Conkle's Hollow. 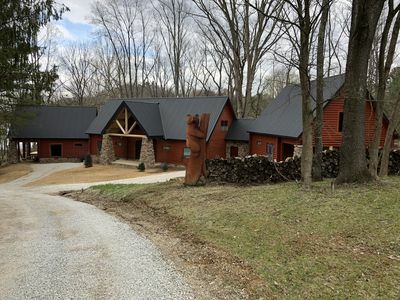 Enjoy the private setting, 12 acres with a pond, and plenty of woods to explore! 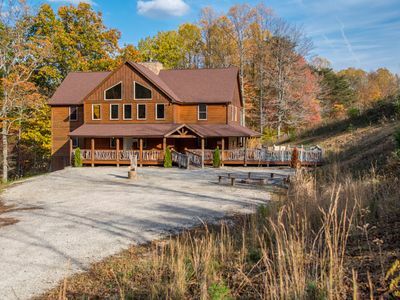 Please read our rental agreement before booking- No College, Prom Parties. No Hunting, Fireworks. Maximum 22 guests at all times. Minimum age for renting is 25, We reserve the right to request a copy of ID. Weddings/Events must be approved and pay wedding fee. Check in is 4PM, Check out is 11am. Holidays have a 3 night minimum. 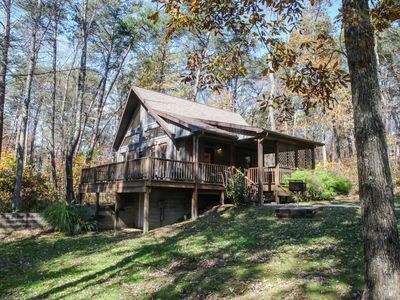 Unique Cottage Nestled Within Tall Oaks - SLEEPS 6! 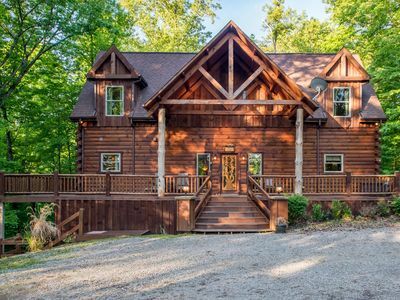 Beautiful log home retreat on 12 acres - great for families! 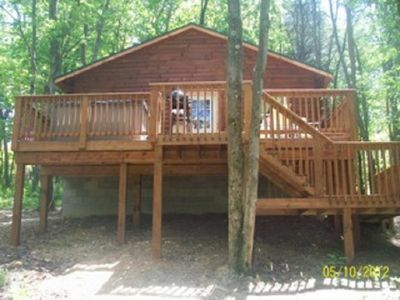 Luxurious pet friendly cabin with fenced yard! 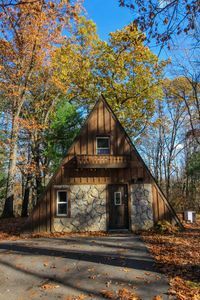 Close proximity to hiking and activities. 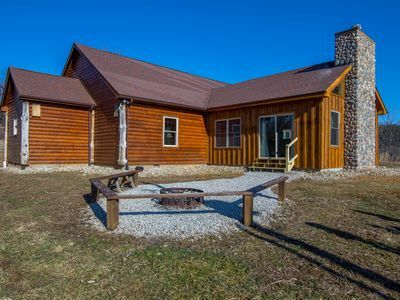 Stunning 7 bedroom lodge with in-ground pool! 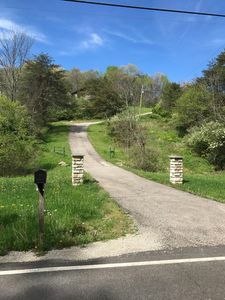 Just minutes from Cantwell Cliffs! 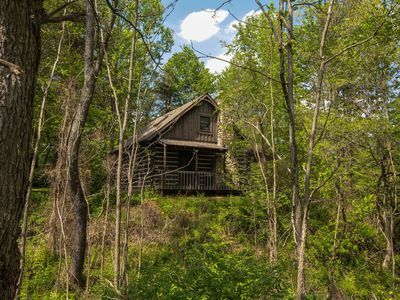 Cabin that sleeps 2 with a hot tub out in the woods! 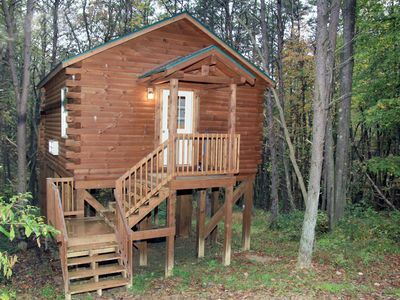 Two bedroom one bath cabin that sleeps six with a hot tub! 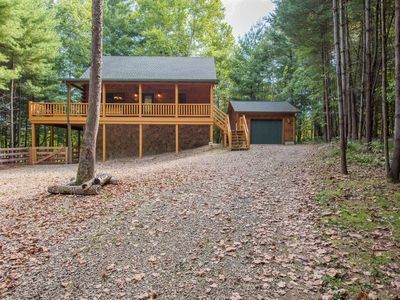 Gorgeous single floor plan cabin on 20+ private acres with hot tub and seasonal waterfall!